PARIS, Jan 22, 2014/ — Kanye West standing in a fashion show? That was a sight that I did not expect to see. 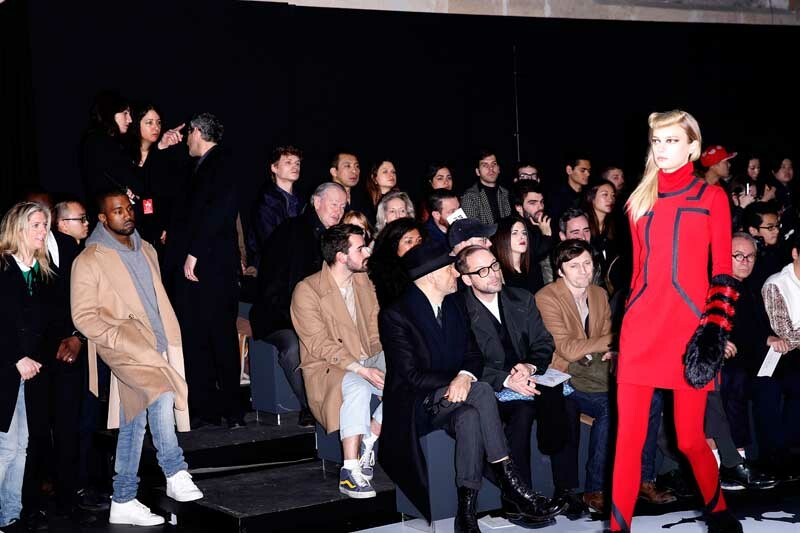 But, the famed rapper was definitely STANDING and not sitting front row at the Y-3 Fall/Winter 2014-2015 Show last Sunday, January 19th. Actually, he had a front row seat. But he was backstage for so long that when he came into the front of house, the show was already starting. Respecting the show and of course the protocol of fashion shows, Kanye just stayed where he was and not try to get to his seat which was across the room.